I like to go shopping! I love my AppleWatch! 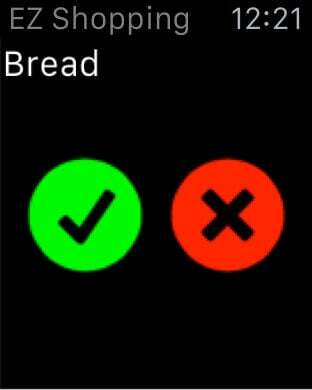 What is closer than to use the AppleWatch to combine both! 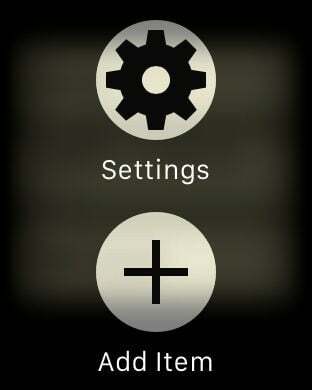 EZ Watch Shopping is an easy to handle app. You can input any item you like to buy on iPhone, BUT, the big advantage of EZ Watch Shopping, is that you can also add new items or select existing items directly on AppleWatch, isn't that great? 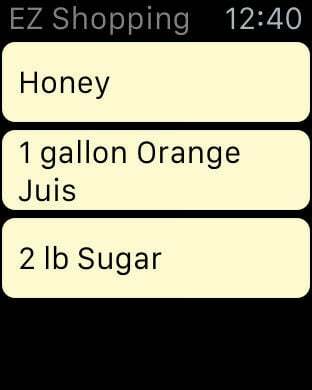 Today, with EZ Watch Shopping, I create my shopping list at home, go to the stores and review the shopping list on my AppleWatch. Perfect, without using the iPhone. 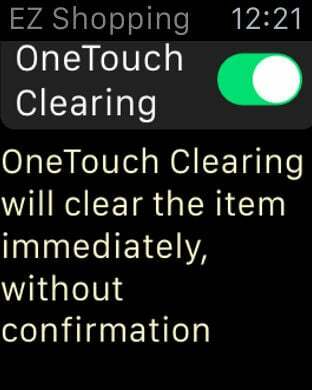 When walking around and I notice that an item is not on the list, simple add it on the AppleWatch. I use EZ Watch Shopping daily and even that I am the developer of it, I am in love with it and the easy way to use it on AppleWatch and iPhone. You can chose if you like the easy simple touch delete of items or to confirm the deleting. Also, EZ Watch Shopping will learn what items you are frequently buying and sort them to the top of the listing, makes it even more easy to chose items and add them to the shopping list.